A series of blog posts by Samantha Cutrara looking at children’s historical books. 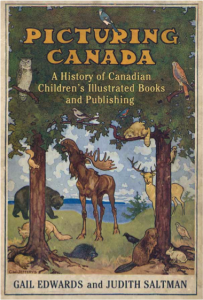 In a series of posts, Samantha explores a selection of children’s books on particular topics of “other” histories in Canada. Her intention was not just to critique children’s books, but to deconstruct the semiotics of the historic spaces that get created through this medium. The series explores how these histories are positioned in the nation and how we can use this understanding to enhance our teaching of contextualized and problematized histories of the nation. Where have all the Suffragists gone? Deconstructing Children’s History Books, March 8, 2017.